Gas Springs Provide Easy, Safe Access to Customized Sushi Freezer Installation – ACE Controls Inc. The sushi freezer was to be installed beneath a staircase, to the right of a beverage refrigerator (housed in a triangular cabinet) with a front-facing door. 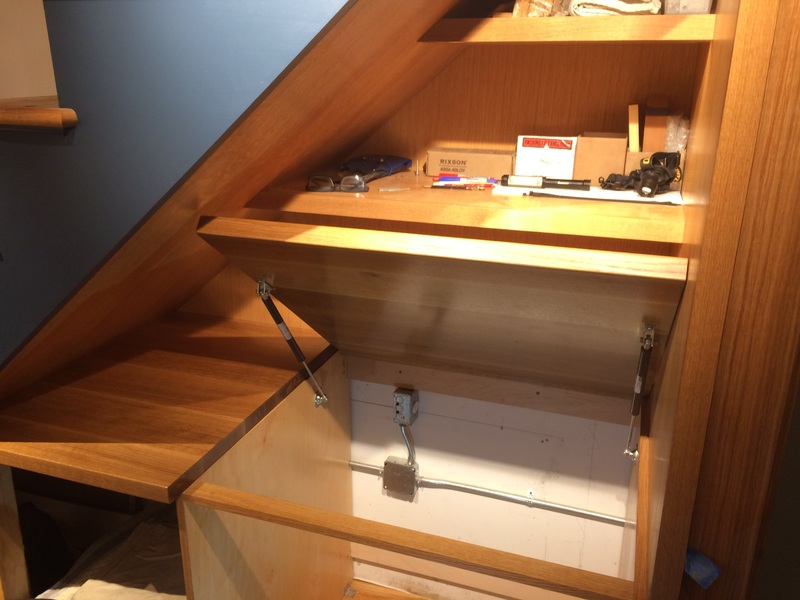 A 49-pound white oak countertop lid with a piano-type hinge had to open first, providing access to the freezer within the enclosure, which also opened from the top. Because a user can’t hold the heavy, wooden lid for long, it had to stay in place when opened. Able to handle forces from 2 to 2,923 pounds (10 to 13,000N). Extension force of 157 pounds. Body diameter of 0.31 to 2.76 inches (8 to 70 mm). Ready to install and requires zero maintenance. Although Sean began the project with his own calculations, an ACE Controls engineer worked with him to revise his opening angle and range of motion. 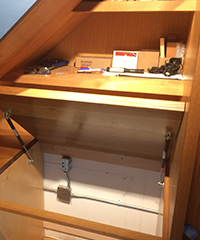 He also recalculated the mounting positions on the lid and cabinet. Taken together, these calculations provided an optimal fit. For more information about ACE Controls’ GS-19-200-AA Industrial Gas Spring, visit www.acecontrols.com.